Designed to increase power and torque while lowing weight over the stock system. 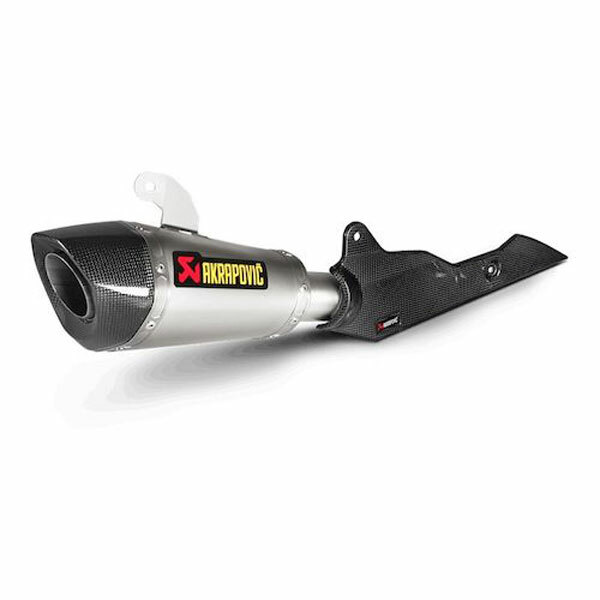 The Slip-On Line (Titanium) exhaust is manufactured from race-bred materials and is constructed using a titanium outer sleeve for a real racing look. The muffler assembly has been optimised to produce the best performance to meet EC/ECE-type approval without compromising the improved and sporty sound. The carbon-fibre heatshield and end cap give the exhaust extra visual appeal. Simple plug-and-play installation, without any need for other parts or re-mapping.